Two days away from the opening qualifier for their 2016 Olympic Games campaign, the Trinidad and Tobago National Under-23 Team is expected to have just 12 players in Puerto Rico, as visa complications have ravaged the “Soca Warriors” outfit. And, farcically, only five footballers due to land in Puerto Rico today were on coach Zoran Vranes’ initial 20-man team. Among the high profile absentees are St Ann’s Rangers attacker Kadeem Corbin and the DIRECTV W Connection trio of Shannon Gomez, Jomal Williams and Alvin Jones who all have limited senior team experience. Team manager David Muhammed said the Warriors applied for visas just before they went into camp on June 16, only to be told that no applications could be processed that week. “We had applied within the regular timeframes,” said Muhammad. “These (Olympic qualifiers) were scheduled for August and our first order of business was the Pan Am Games, which starts in July. The Olympic qualifying schedule was adjusted on 21 April 2015. It left Under-23 officials with eight weeks, before they entered a live-in camp, to select the squad and sort out passports and visas. 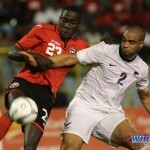 Wired868 did not get an official response from the United States Embassy on the National Under-23 Team’s predicament. 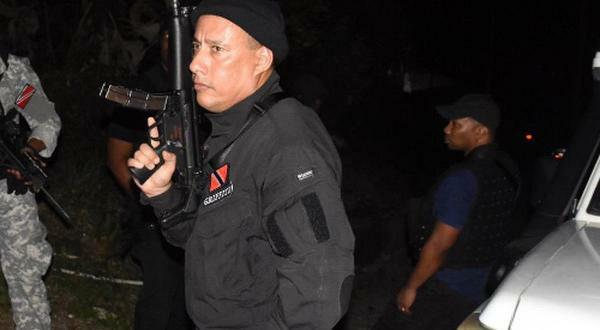 However, a consular message on the embassy’s website stated that they experienced “technical problems” since May 26, which are not restricted to Trinidad and Tobago. 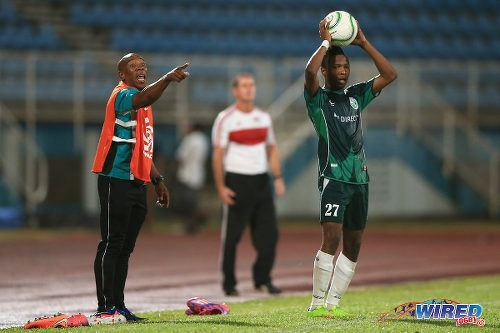 Photo: Trinidad and Tobago national team manager David Muhammad. 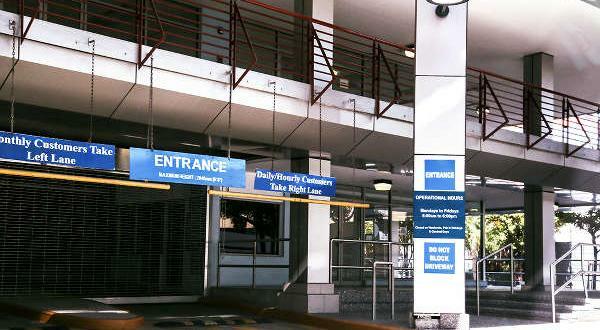 “The Department of State’s Bureau of Consular Affairs is currently experiencing technical problems with our overseas passport and visa systems,” stated the US Embassy. “This issue is not specific to any particular country, citizenship document, or visa category. We apologize for the inconvenience and are working urgently to correct the problem and restore full operability. As reality sunk in that the selected 20-man team could not travel to Puerto Rico to represent their country, Vranes and Muhammed were forced to look through their initial training squad for players who already had visas. Arguably, it rendered their live-in camp at Normandie Hotel and much of last week’s final tournament preparation as useless. From Vranes’ final squad, only midfielders Neveal Hackshaw, Jelani Felix and Nathaniel Garcia, unattached goalkeeper Montell Joseph and United States-based forward Rundell Winchester had visas. They were expected to landed in Puerto Rico today where Muhammad was waiting for them. Photo: Trinidad and Tobago defender Martieon Watson (second from left) hugs striker Kadeem Corbin (right) during the 2014 Under-20 Caribbean Cup. United States-based university players Adrian Welch, Xavier Rajpaul, Ricardo John and Leland Archer as well as the W Connection and Naparima College duo of Martieon Watson and Jabari Mitchell were recalled solely because they already had visas. And former National Under-20 midfielder Duane Muckette, who is on trial with New York Cosmos and was initially due to miss the preliminary round, was persuaded to return to help the squad. Almost certainly, they will be the only players that Vranes will have available to face Suriname on Wednesday afternoon. It means the Serbia-born coach must select his starting team from one goalkeeper, two central defenders, four central midfielders, two wingers and three strikers. Goalkeeper coach Nigel Neverson also had his visa appointment today and will not get to Puerto Rico until later this week. “Hopefully, the rest of the team will get here on Wednesday,” said Muhammad. The remaining eight players who will complete the improvised 20-man squad are: goalkeeper Aaron Enill, defender Jesus Perez, utility players Josiah Trimmingham, Aikim Andrews and Jones, midfielders Williams and Corbin and forward Dwight Quintero. Trimmingham is the only player in that bunch who was not in the initial Olympic squad for the preliminary round. Attacker Neil Benjamin Jr was ruled out with an injury. The remaining players who will miss the chance to represent their country due to the Trinidad and Tobago Football Association’s inability to acquire visas in time are: defenders Jibiri McDavid, Maurice Ford, Dario Holmes, Triston Hodge and Gomez, forward Shackiel Henry and goalkeeper Javon Sample. Holmes, McDavid and Hodge were pushing to make their international debuts. Gomez, who captained Trinidad and Tobago at the 2015 Under-20 CONCACAF Championship and made his senior debut against Panama in March, was a strange case. Photo: Former Trinidad and Tobago right back Shannon Gomez (right) battles for possession against Cuba during the 2014 Under-20 Caribbean Cup. Muhammad said Gomez, who applied for his green card last year, was ruled out, as he was not expected to get his travel documents due to complications related to his previous application. But this was news to the talented 18-year-old full back who showed up at the US Embassy this morning, only to be told that his name was not on the list of interviewees. 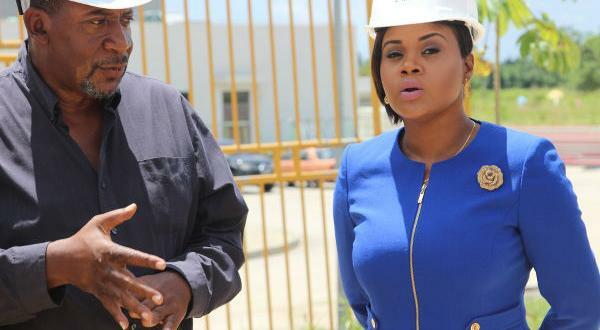 “An appointment was supposed to be made for me to see the immigration section,” Gomez told Wired868, “but when I went there they said I was not on the list. So I had to (apply myself) for another appointment (and) they said they would call to see if I can get one by tomorrow morning. Apparently, Gomez was not informed by Under-23 officials that he was removed from their 20-man squad. Ironically, the teenaged defender, who has represented his country at every level, was in consideration for the July 2015 CONCACAF Gold Cup squad. 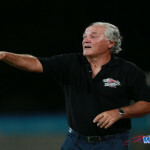 Senior Warriors coach Stephen Hart said he left Gomez out of his Gold Cup squad because he felt he would be a fringe player with the adults and might benefit more from playing games with the youth team. “He would have been a strong consideration,” said Hart. Gomez said he was disappointed but looked forward to rejoining the Under-23 Team for the July Pan American Games and the next Olympic qualifying round in August. Only the group winner will advance to the final Caribbean qualifying rounds in August. 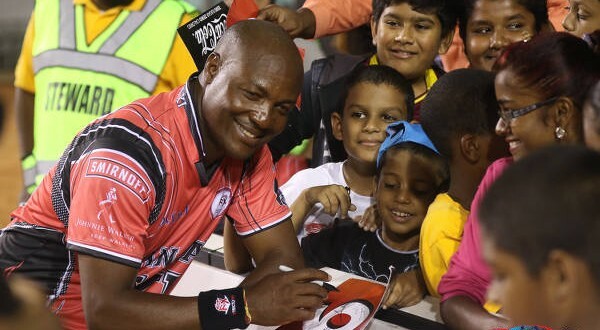 Trinidad and Tobago face Suriname on June 24, St Vincent and the Grenadines on June 26 and hosts Puerto Rico on June 28. Muhammad said the Warriors are in great spirits, despite the issues, and anxious for success. On Saturday, they played their first warm-up match in a closed doors scrimmage with Nicaragua, which they lost 1-0. 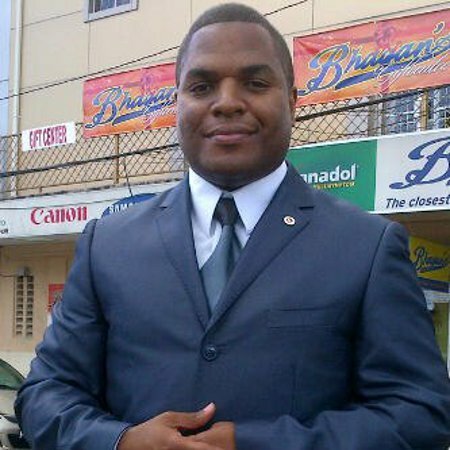 Wired868 could not reach TTFA general secretary Sheldon Phillips for comment. 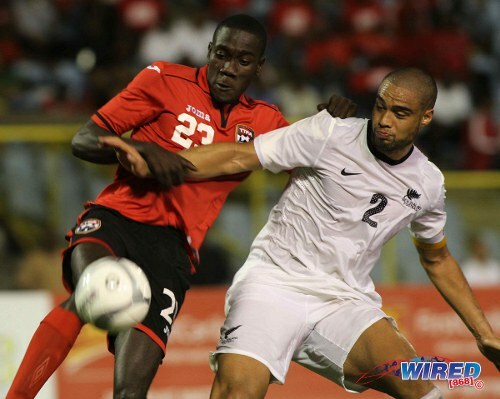 Photo: Trinidad and Tobago attacker Rundell Winchester (left) tussles with New Zealand captain and ex-West Ham defender Winston Reid during a senior international friendly at the Hasely Crawford Stadium in December 2013. Forwards: Rundell Winchester (Portland Timbers 2—USA), Ricardo John (Virginia Tech—USA), Adrian Welch (St John’s University—USA). Staff: Zoran Vranes (coach), David Muhammad (manager), Gilbert Bateau (assistant coach/trainer), Michael Taylor (physio), Esmond O’ Brien (equipment manager). 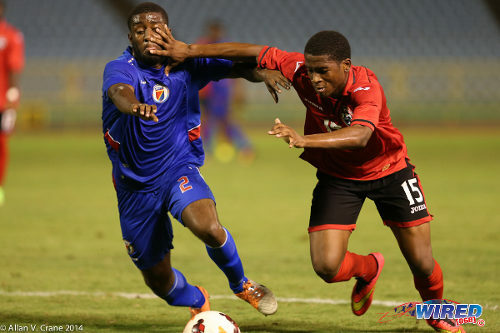 Photo: Trinidad and Tobago winger Aikim Andrews (right) forces his way past Haiti defender Stephane Lambese during the 2014 Under-20 Caribbean Cup. 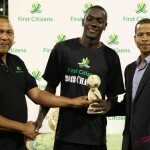 Forward: Dwight Quintero (Central FC). Staff: Nigel Neverson (goalkeeper coach). Editor’s Note: Trinidad and Tobago U-23 Team down to 11 players as Nathaniel Garcia denied entry into Puerto Rico; but Suriname supposedly withdraws due to visa issues. Click HERE to read more. How much longer can we continue like this? The Department of State’s Bureau of Consular Affairs is currently experiencing technical problems with our overseas passport and visa systems. This issue is not specific to any particular country, citizenship document, or visa category. We apologize for the inconvenience and are working urgently to correct the problem and restore full operability. Passport applications accepted overseas or after May 26, 2015 are affected by this delay. If you applied for a U.S. passport overseas during this time frame and have travel plans within the next 10 business days, please consider requesting an emergency passport at the U.S. Embassy or Consulate at which you originally applied. Information about how to apply for an emergency passport is available at the following page. Ministry should organize visas for these players way in advance so it’s not s problem in the future . Local players go through the same thing when trying to travel away fur tournaments .. Our national team players need to be taken care of . They have been doing this too long now to mess up. Even if the Embassy has issues technically had the application been made way in advance they would have avoided the issues the Embassy is experiencing right now. There was a period where visas weren’t being processed because of a computer glitch but that does not excuse this level of incompetence. If you knew from April that the dates were changed, why would you wait until the last minute to sort out travel documents? That should have been the first thing asked on the squad in training. Bruce’s points are well taken about relationships but simple good planning would have prevented this debacle. I agree with Bruce Aanensen that Managers have to plan and expect every eventuality and cater for them in advance. I’m no sure that this issue has anything to do with the Sport Ministry. But I should get more information later. Same old heads same negative results whats next? Ridiculous..why weren’t these things organized prior to now…Everything is last minute?? Maybe this is the way to get back at our sweet country because the corrupted Jack Warner didn’t give the Americans the 2022 World Cup .hmmmm Them really good yes. Players trained for two months, beat out loads of rivals to get in to Trinidad and Tobago squad and celebrated their pick with their family, friends and loved ones… And then missed out because of visa issues that were not of their making. Who is in charge of these teams? Shouldn’t this been take care of months ago? Every day it’s something new. Extra tough for Shannon Gomez, how could he not be on the list??? T&T officials should know that it could take a while for young men to obtain visas. Team selection and funding should be early enough to cover such things! Was the reason due to last-minute finalization of arrangements? Are we all not tired of excuses for these shortcomings? The management team need to be more pro active and be able to plan for unforeseen circumstances. When players require passports, unless you have a relationship with key people in the Passport Office who understand that this is a National team and applications cannot be treated in accordance with standard procedures you will have problems. During my tenure with the 2006 team we had people relationships where ever we needed them. We had a foreign based player come to camp in Fort Lauderdale before a game without his T&T passport. He had it Sent by Fedex to the camp. The Passport got lost in Washington. Through relationships we were able to get him a passport through the consulate in Miami between 8.30am and 12.00 noon. On another occasion a player travelled to Miami on a student visa which he did not know was revoked because he did not attend classes that term due to giving football priority. He was pulled aside in Miami and told that he had to remain in Miami airport overnight and be put on the first plane home the next day. As Manager I was able to negotiate with the authorities to allow him to play the game and I would guarantee his return home immediately after the game. The authorities did not even prevent him from obtaining future visas. This is not any attempt to blow a trumpet, as I do not need that. It is simply to say that the TTFA and the Management teams need to get their act together and anticipate ALL that may possibly go wrong. The TTFA also need to have relationships with people from whom they may need to seek help. I am not suggesting bribes or anything sinister, as we had none of those issues. This is a very sad situation for the players, and we need to ensure that we put an end to such developments.